Ford had a handful of examples of the new Ford Ranger on the floor at the Detroit Auto Show Monday, many of which were sporting a ton of trail-friendly gear looking. But, for some reason, none of them were the Raptor. You know, the actual Ford-built, off-road spec, jump-loving little devil of a pickup truck? Well, it’s not here! And that’s because, at least for now, Ford is refusing to bring it to our shores. So, these are all the Rangers brought to the 2019 show instead of the one we all want. 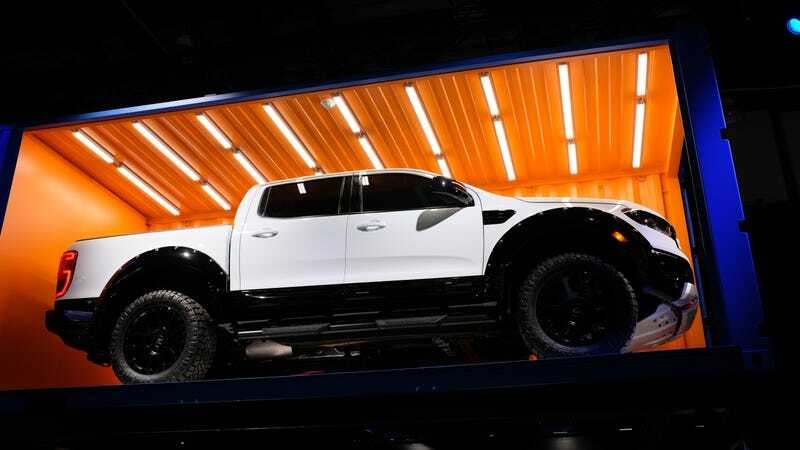 You can tell Ford really wants to build us a Ford Ranger. Just bring the real one here, folks.